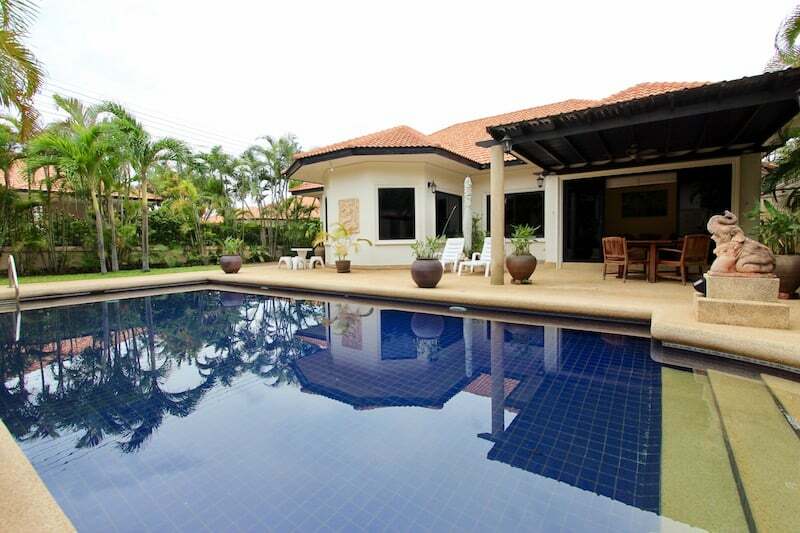 This is a lovely home located just south of Hua Hin town center within a completed development of similar style and quality homes. 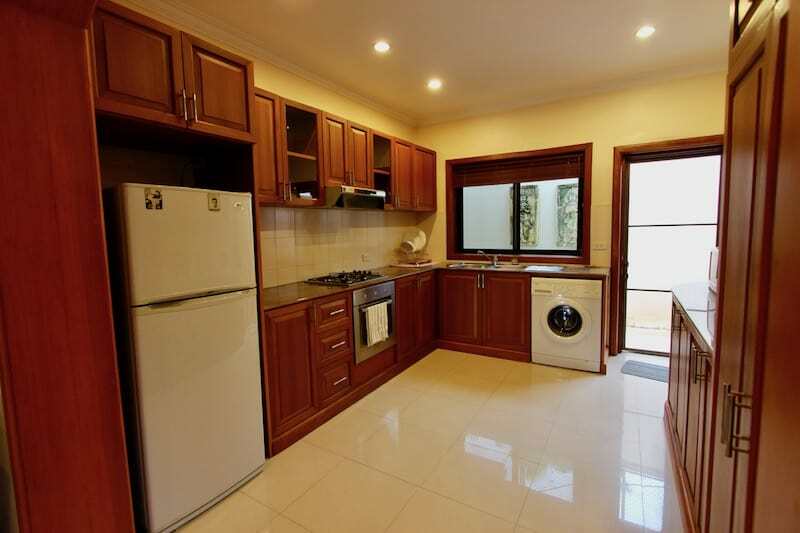 The property enjoys a spacious layout with open plan living and dining area, a fully equipped Western style kitchen with all necessary appliances (oven, microwave, gas hob, full size fridge freezer, kettle, etc). 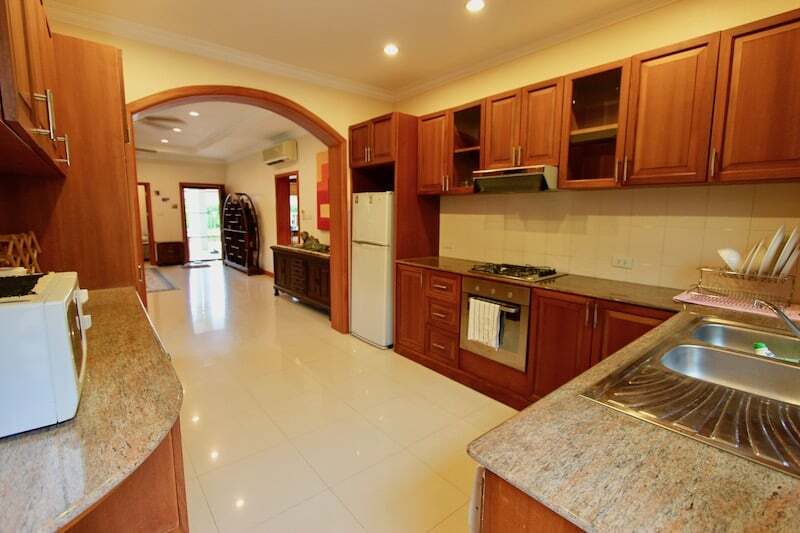 The kitchen has solid wood cabinets with a lot of storage space, and granite countertops with ample prep space. 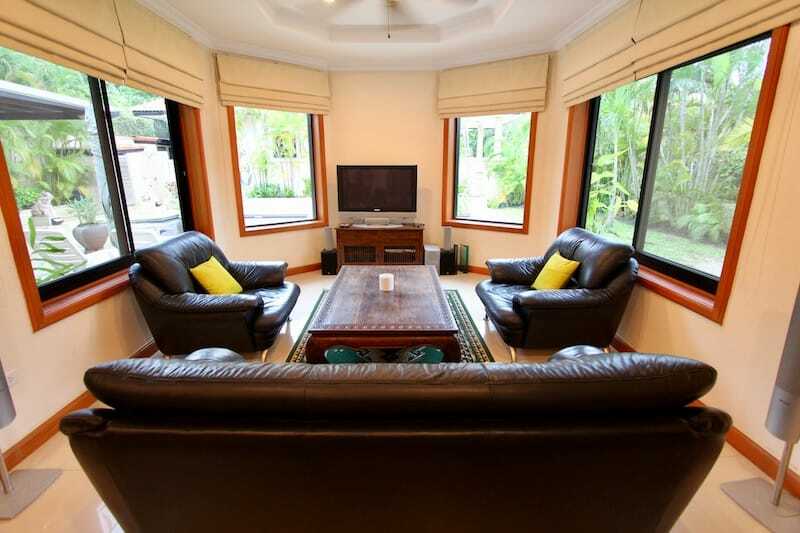 In the living room is a comfy leather sofa, a large flat screen TV, surround sound speakers, lovely furniture accents, and a very cozy feel. 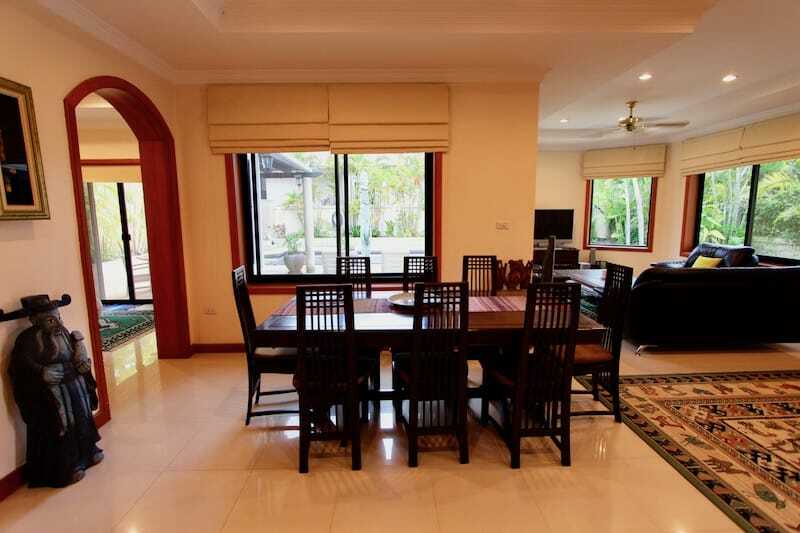 The dining area has 8 seats, and the home is well suited for a large family or residents who enjoy entertaining and hosting dinner parties. 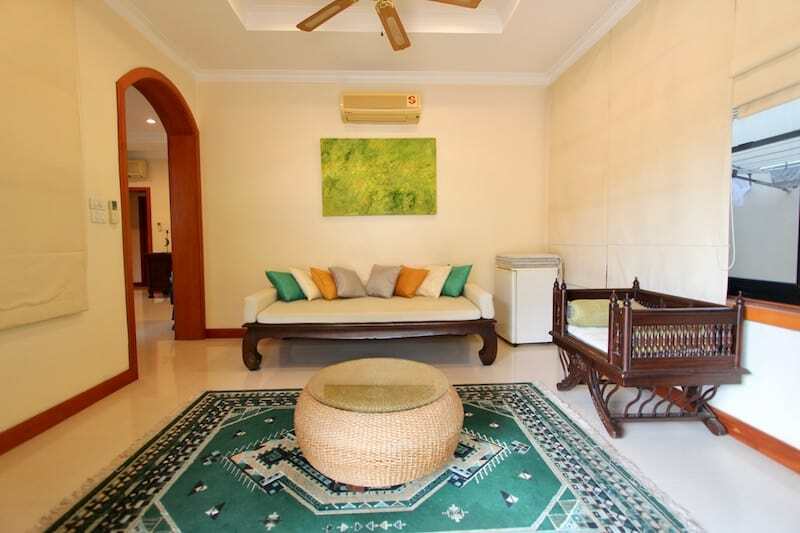 There is an additional room that can be used as a library, family room, office, etc, and this room has direct access to the terrace, pool and garden areas. 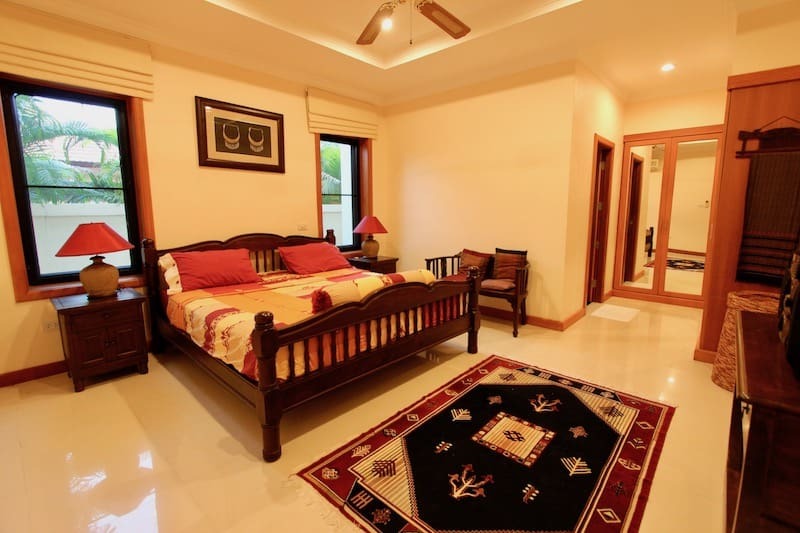 There are 3 bedrooms; the master suite has large built-in wardrobes with full-length mirrors and an en-suite bathroom with bathtub, double sinks, and a walk-in shower. 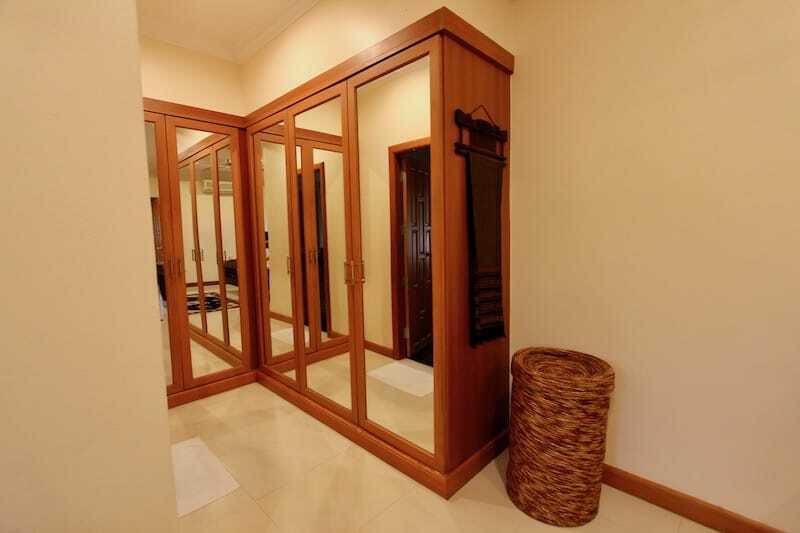 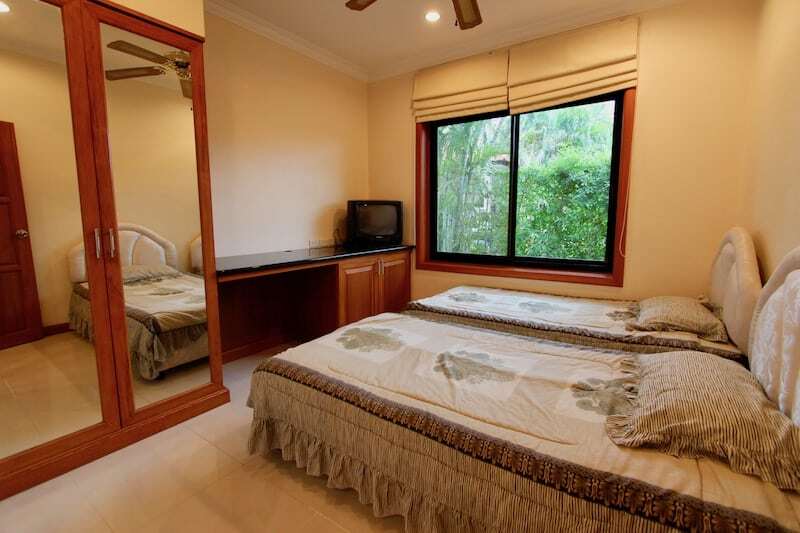 The second bedroom has an en-suite bathroom (which also serves as the guest toilet) and built-in wardrobes. 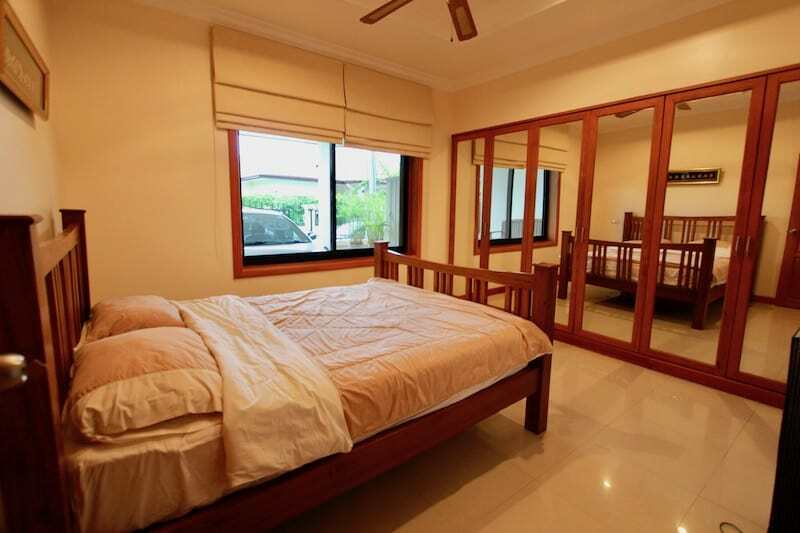 The 3rd bedroom is more compact, but also enjoys 2 twin beds and built-in wardrobes. 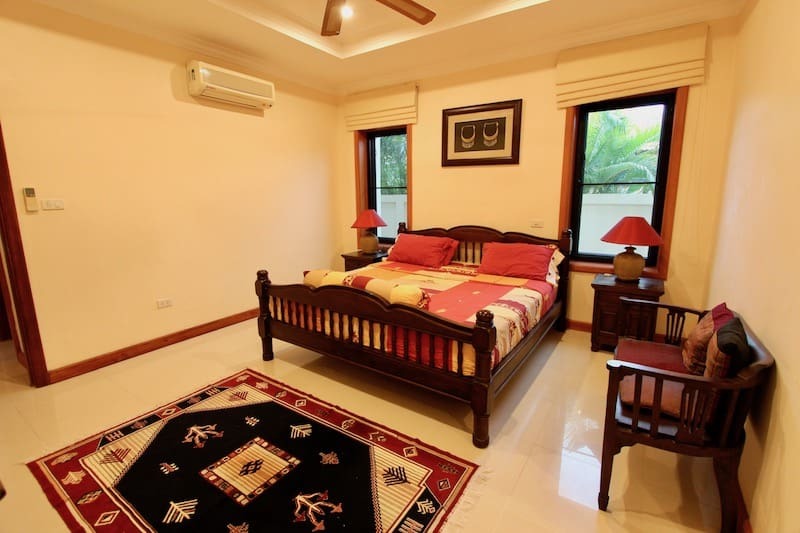 There is a lot of storage throughout the house, and every room has ceiling fans, air conditioning, and fly screens for added comfort. 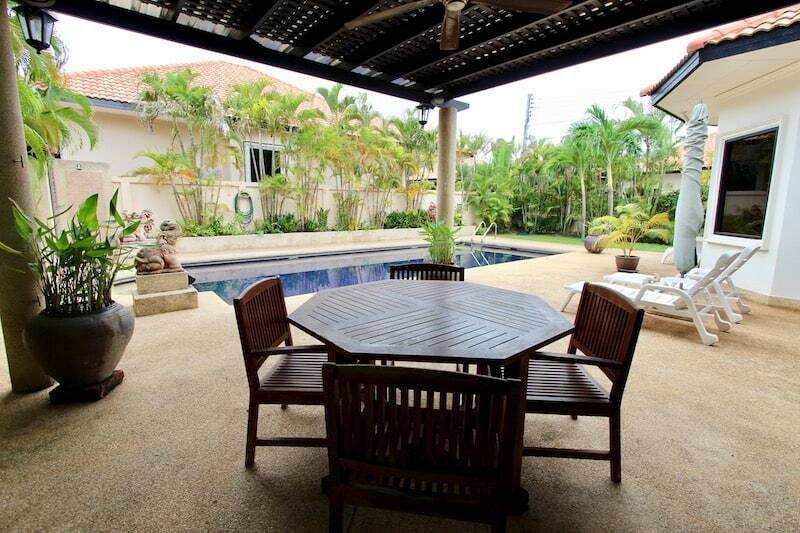 The outdoor living area consists of a covered terrace with dining table, a long 11 x 5 m saltwater swimming pool (this is the largest swimming pool in the entire estate! 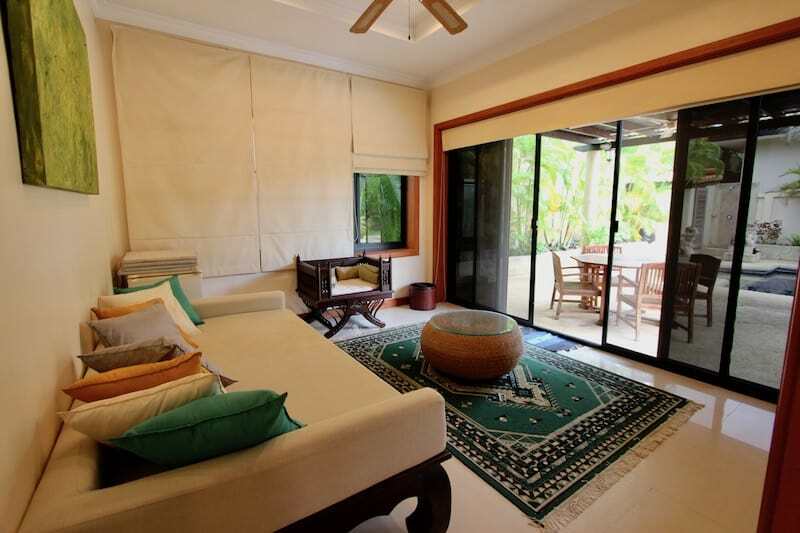 ), a lush garden, and space for sunbathing. 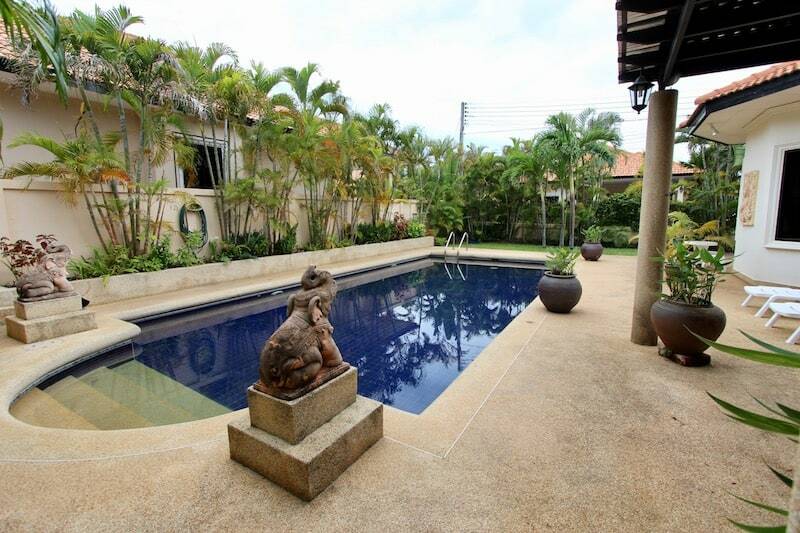 There is a privacy wall surrounding the property, a covered carport, and sliding entrance gate. 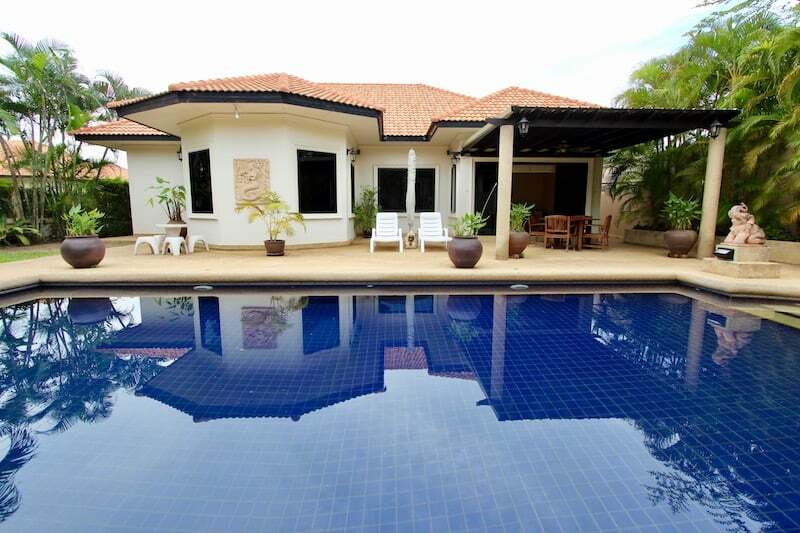 The home is available for medium and long term rentals only. 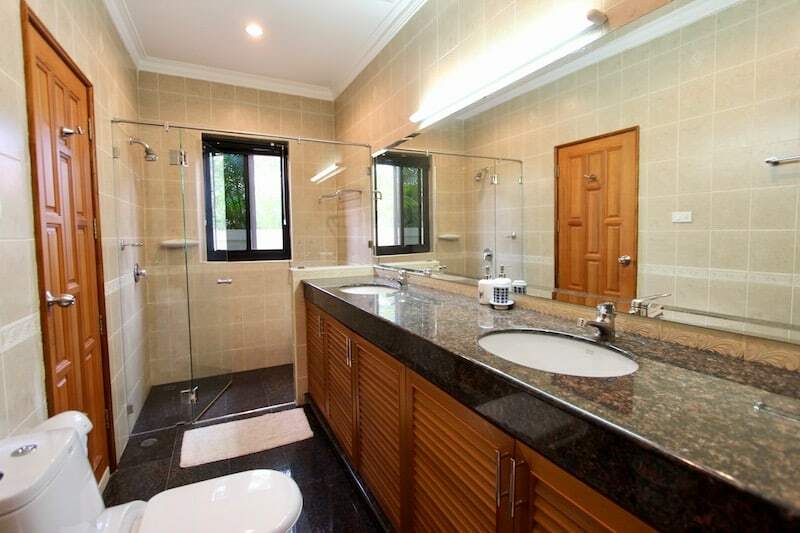 The property is also offered for sale at 6.9 M THB. 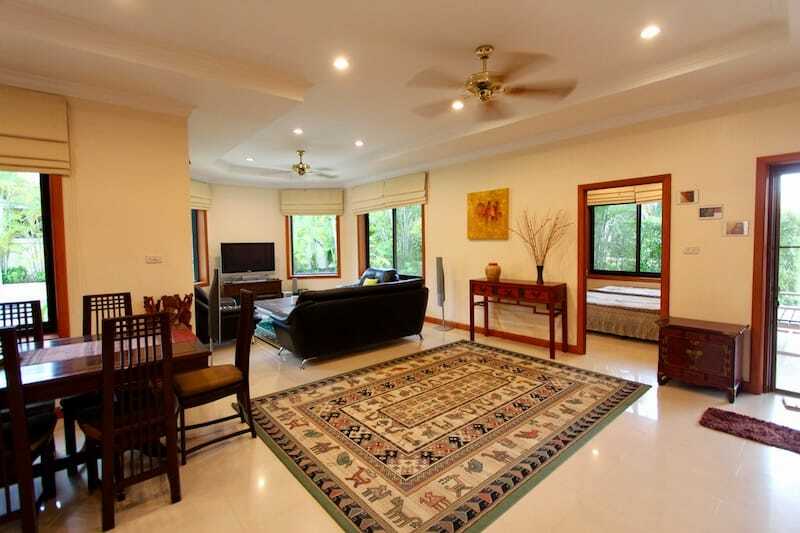 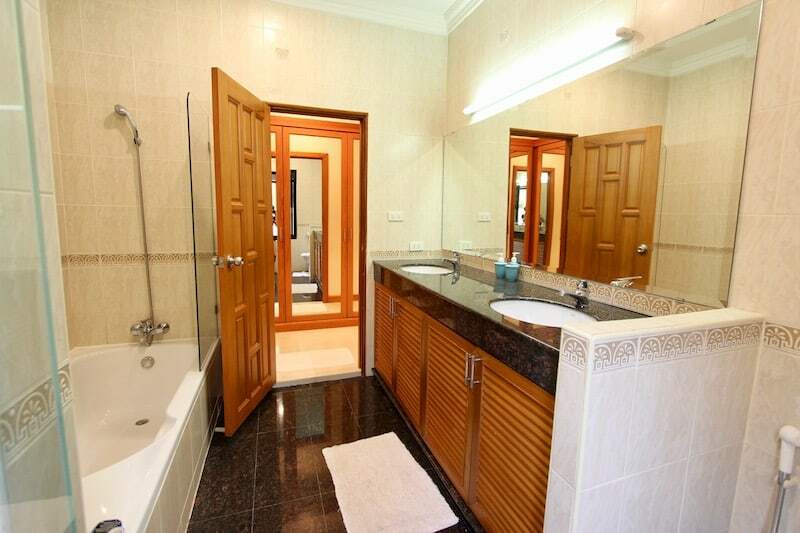 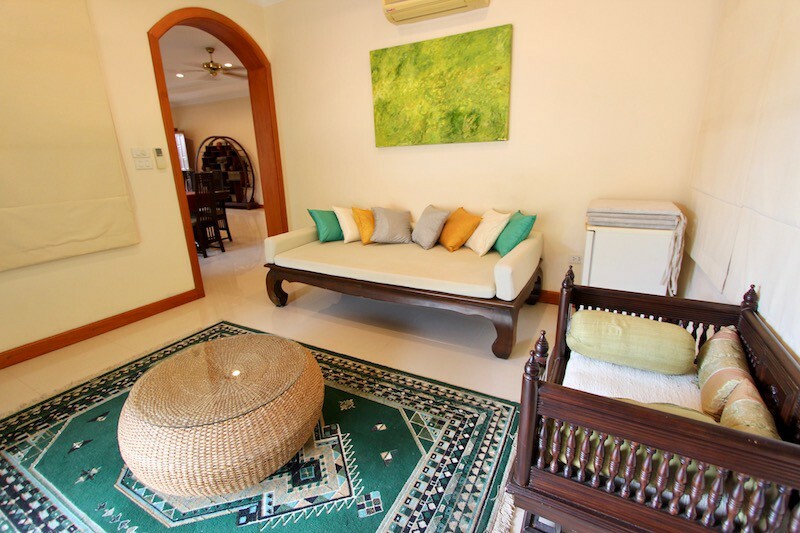 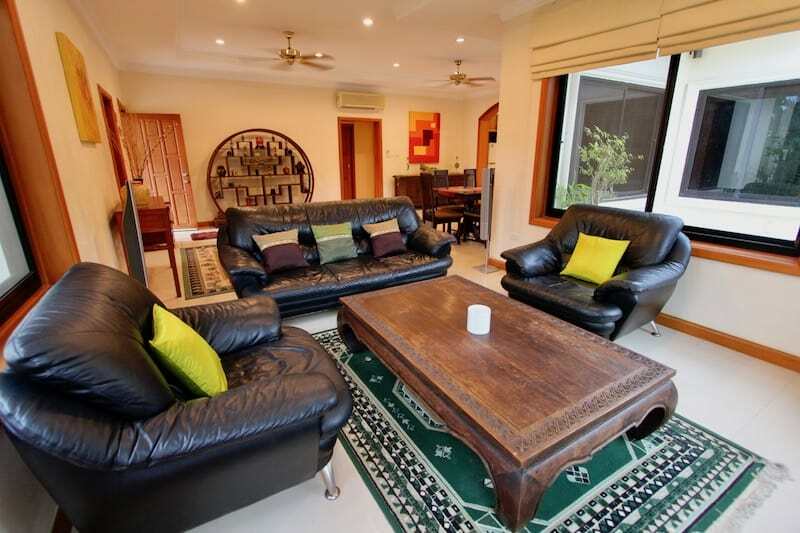 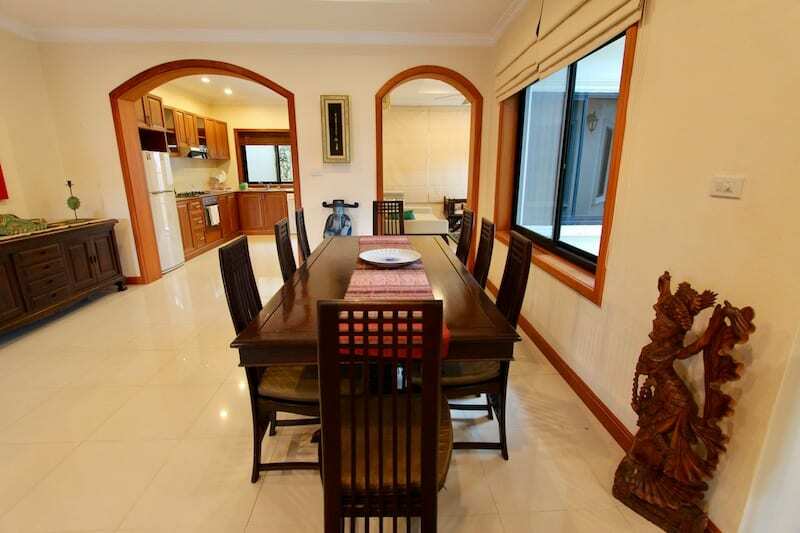 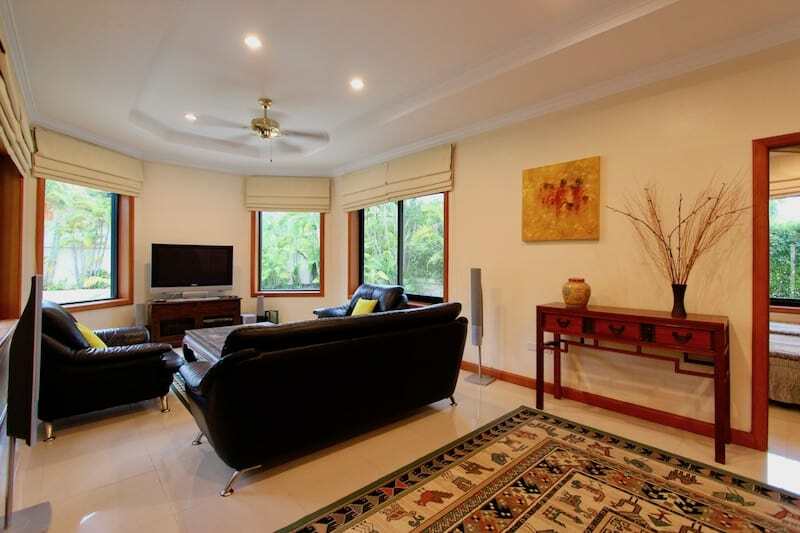 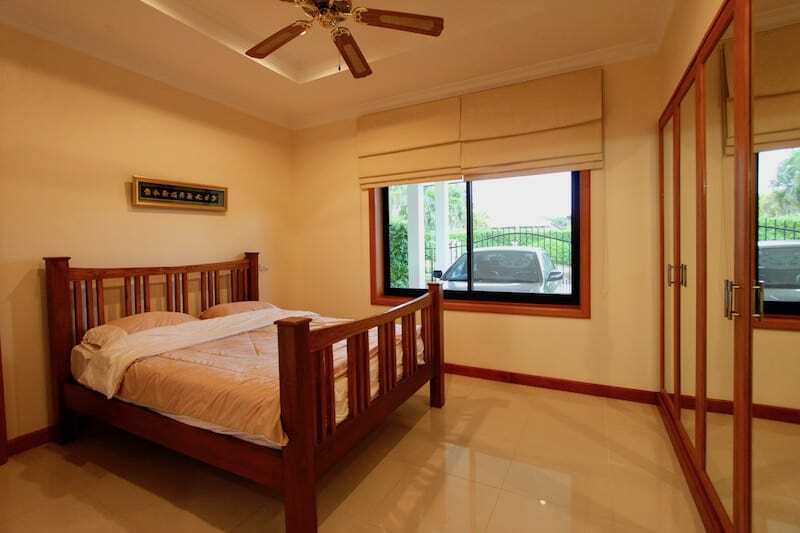 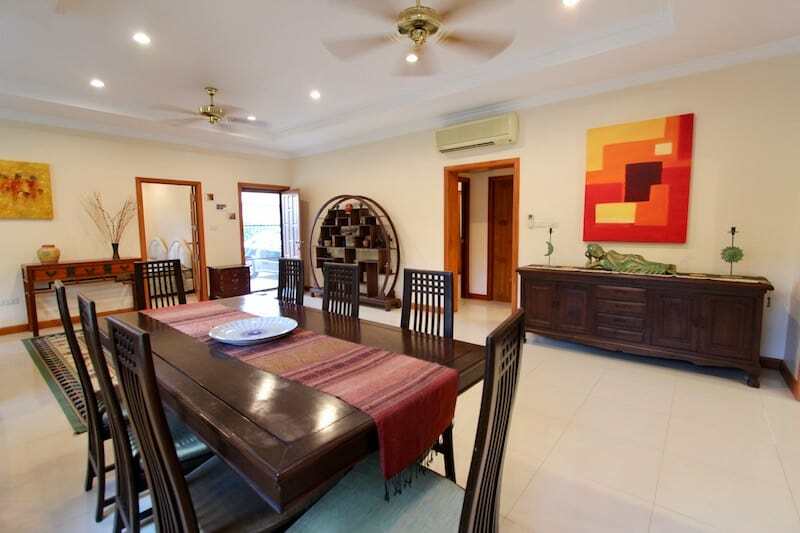 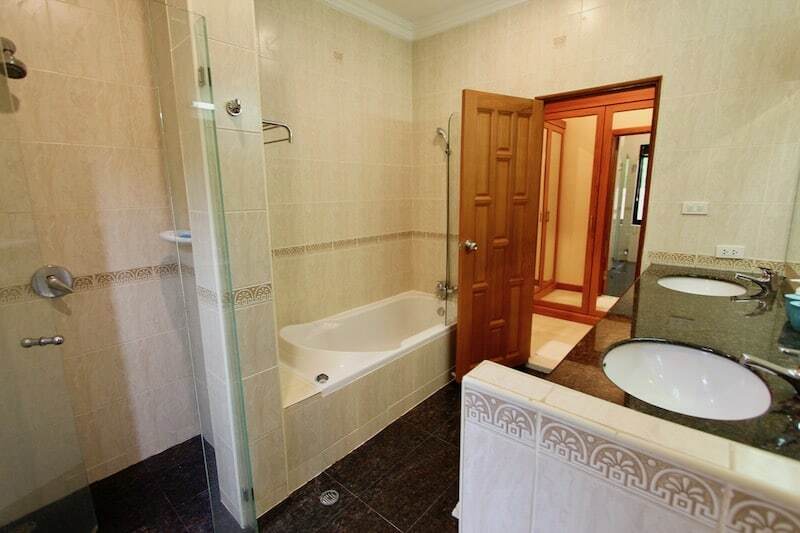 For more information and to schedule a viewing of this centrally located Hua Hin Home for Rent, please contact Executive Homes Hua Hin at +66(0)85.264.2158.